are varicose veins more than a cosmetic issue? 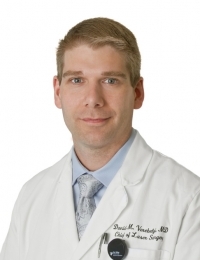 » Watch Next Video by David Verebelyi, MD - How does tattoo removal work? Are varicose veins more than a cosmetic issue? Varicose veins can actually be a sign of some pretty major medical problems. In normal blood flow, the blood is pushed up the venous system out of the legs, into the chest and then into the heart. Unfortunately, if the vessel is varicose, its valves do not close correctly. When the valves are not close correctly, the blood is actually able to fall back down the vein. We call this backward blood flow reflex, which causes a host of symptoms, and many patients will come in and they will have leg heaviness or leg pain or leg swelling. All of this is simply caused by a varicose vein. And about 50 percent of cases of restless leg syndrome are caused by varicose veins. When we fix the patient's varicose vein, the restless leg syndrome goes away. Unfortunately, even after these symptoms, there are some more dire consequences for varicose veins. When the blood flows long enough backwards and causes back pressure, some of the blood can actually leak out into the soft tissue that surrounds the veins. This will cause skin changes after a certain time. You will a see a bluish discoloration on the lower leg or on the ankle. After a while this is actually what leads to ulcers. Ulcers are very, very hard to treat and tend to get secondary bacterial infections. Almost all ulcers around the ankles are actually caused by varicose veins and poor valves. So, if you have any varicose veins that you notice, do not delay. Seek treatment immediately.